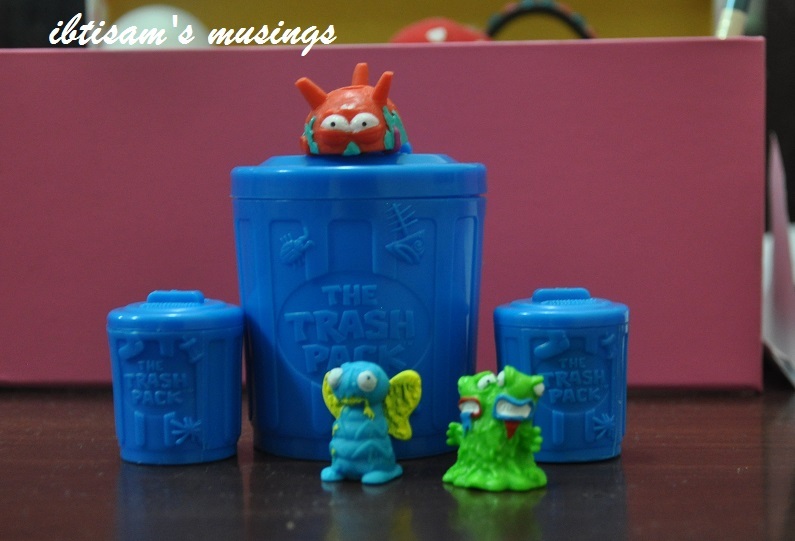 My son H has recently been interested in some kind of toy products known as ‘Trashpack‘. You collect these small toys, and/or exchange some with other kids and brag about how much you have been collecting. The more collection you have, the more impressive you become between your peers. I wasn’t sure initially why would he be interested in such thing. This kind of toys was never his type. Till I realised what was the reason. ‘Peer pressure’ I’d call it. Part of me was happy about it, I must admit. My son’s interests have been different from other children. We don’t do electronic games as we don’t allow it nor we let them watch tv and use electronic devices excessively. We prefer outdoor activities, reading and other activities that involve interaction. Thus, what interests other kids of his generation is totally different. Moreover, he has never been interested in cars, football or other kind of ‘boys’ interests. Books have been and still are his favourite thing. I’ve worried a little before that he might face difficulties making friends, due to his introvert nature and his interest. So, seeing him sharing some kind of interest with other kids was good. However, ‘peer pressure’ can be scary in other context as I think about it. This can be true when it means trying to be accepted by losing one’s self principles and accepting wrongdoing just to be part of a ‘group’. What do you think of ‘peer pressure’ and has it been of concern to your children? التدوينة السابقةSmiles.. and a lesson for me.. Exactly how we as kids got wrapped into pokemon twenty years ago. Peer pressure. I understand…although at this point I feel acceptance or wanting to be a part of something is normal. I think our examples at home are always best and I wonder did you ever speak to him about the difference (trying things versus running with the crowd?) He is quite young, but kids are smarter than we think. My teen just started experimenting with make up…mascara at this point. I tell her she’s beautiful but she says it doesn’t count (cause I’m her mom). I gather, girls and boys will have different types of peer pressure, and you never know how far they will take it.